I thought a tour of this excellent place was especially pertinent this Halloween season, since the wonderful Victorian property houses its own pet cemetery!! Hello, readers! Welcome back to my interior design blog. 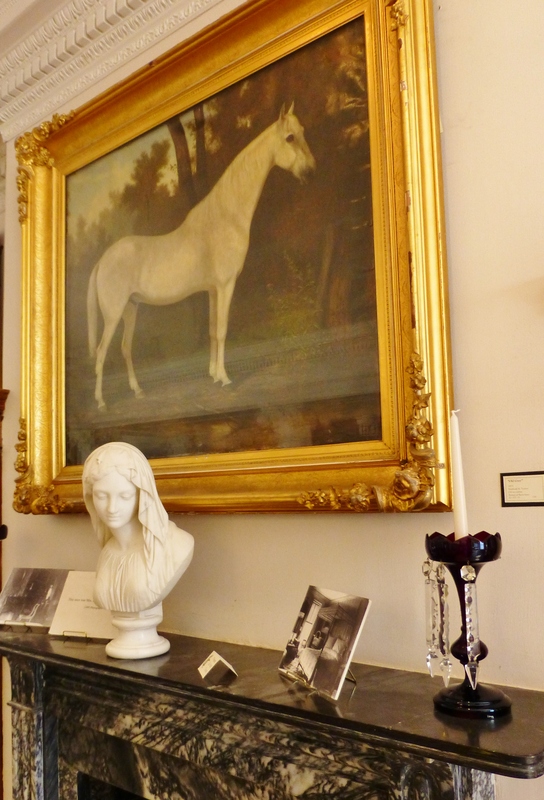 Even though I know you’re all enjoying our amazing tour of the 2014 Hampton Designer House, I wanted to take a brief hiatus during this fall Halloween season to share with you an amazing historic property: The Ryerss Museum and Library in Philadelphia, PA. I thought a tour of this excellent place was especially pertinent for the Halloween season, since this wonderful Victorian property has its own pet cemetery!! This opulent summer retreat, named Burholme, was built on 85 acres of land in 1859 by Joseph Waln Ryerss (yes, it’s supposed to have more than one ‘S’). He was a descendant of an original Pennsylvania settler who came to Philadelphia with William Penn in 1682. 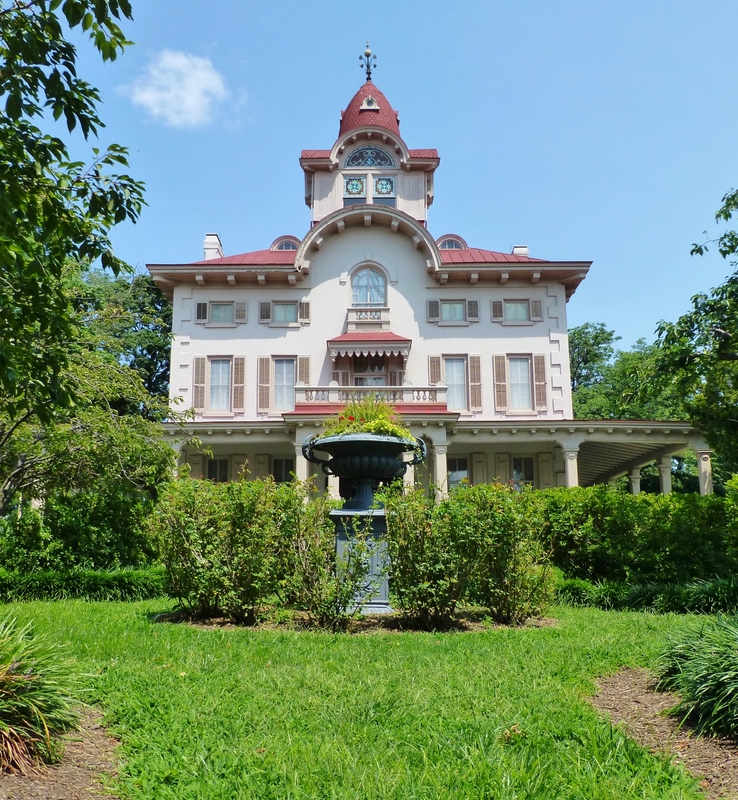 The mansion is a spectacular architectural specimen with it’s huge wrap around porch and amazing cupola, complete with stained glass windows and decorative weathervane. 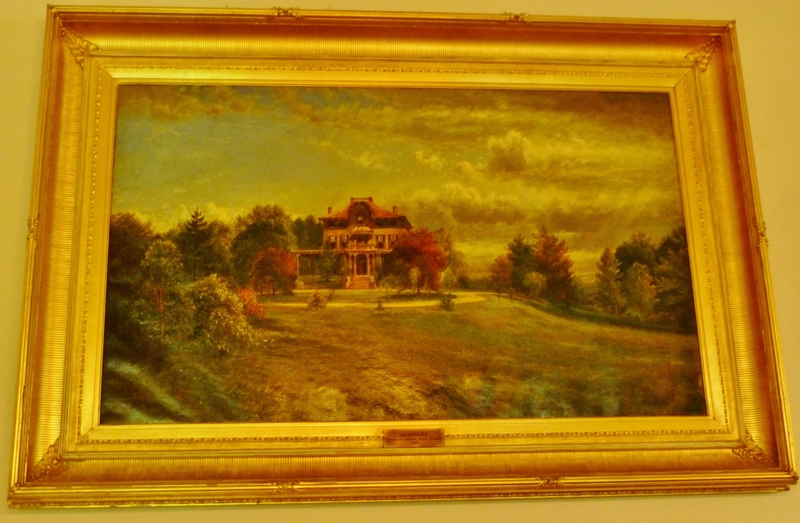 The museum owns an early oil painting of the property, which shows the house and grounds many years ago. As you can see, it sits atop a lovely hill surrounded by trees which were mature even back then. Here is the view looking out from the front of the mansion today, where much of the property remains the same. 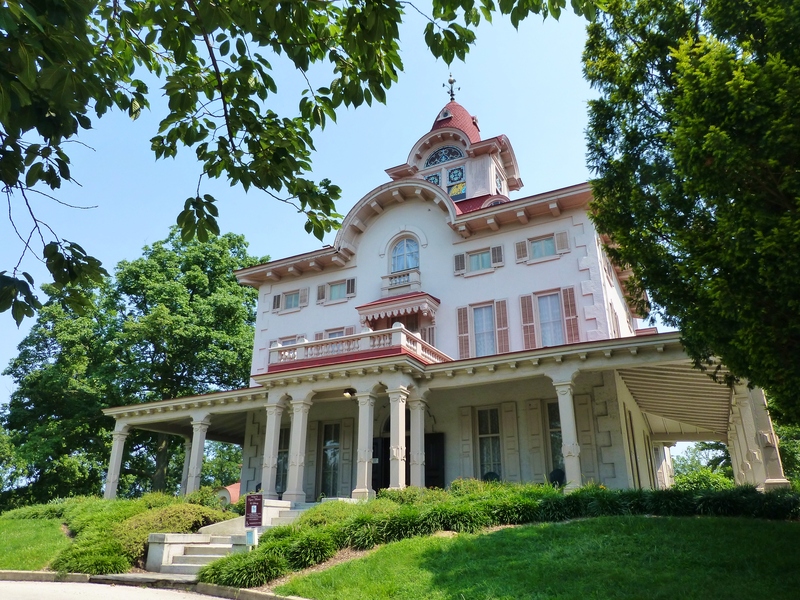 In 1905 the mansion was turned over to the city of Philadelphia and it opened to the public as a museum in 1910 under the administration of the Fairmount Park Commission. Today there are three baseball diamonds, a football field, and three soccer fields on the grounds of Burholme. 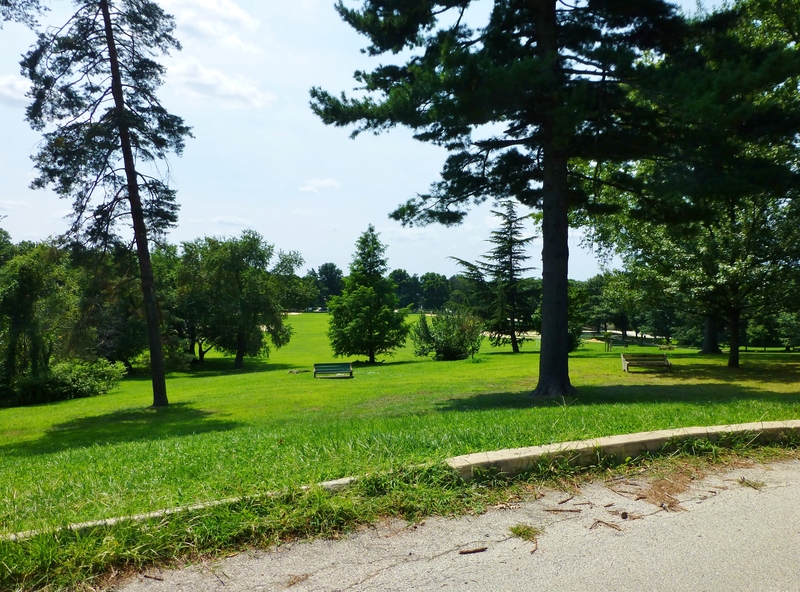 Burholme Park, as it’s called, also contains a playground and is a popular place for sledding, due to the park’s large hill. Behind the mansion is a lovely carriage house, which matches Burholme nicely. 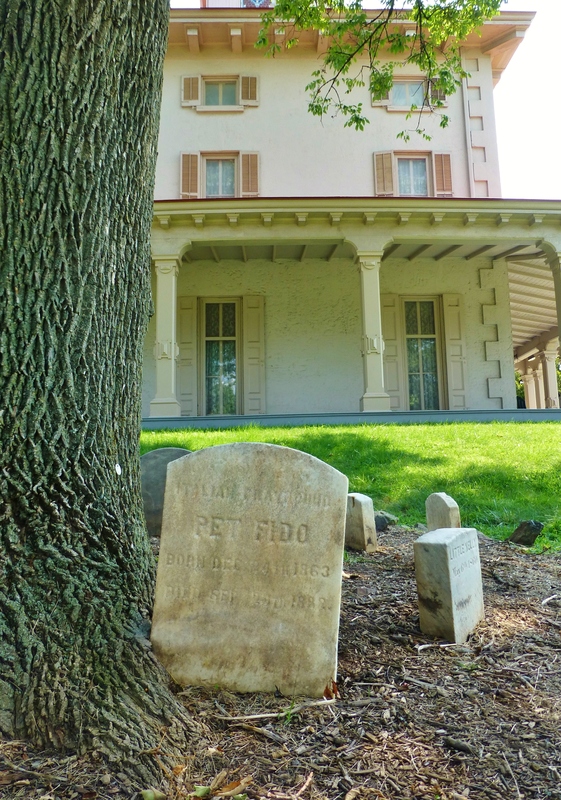 And here you will notice is the small pet cemetery, sited beneath a nearby tree at the side of the Ryerss Mansion. Just downhill from the house, beneath a lovely old tree are fewer than a dozen tombstones. At first glance, many visitors think that these are family tombstones, but each of these marble beauties is devoted to a treasured family pet. 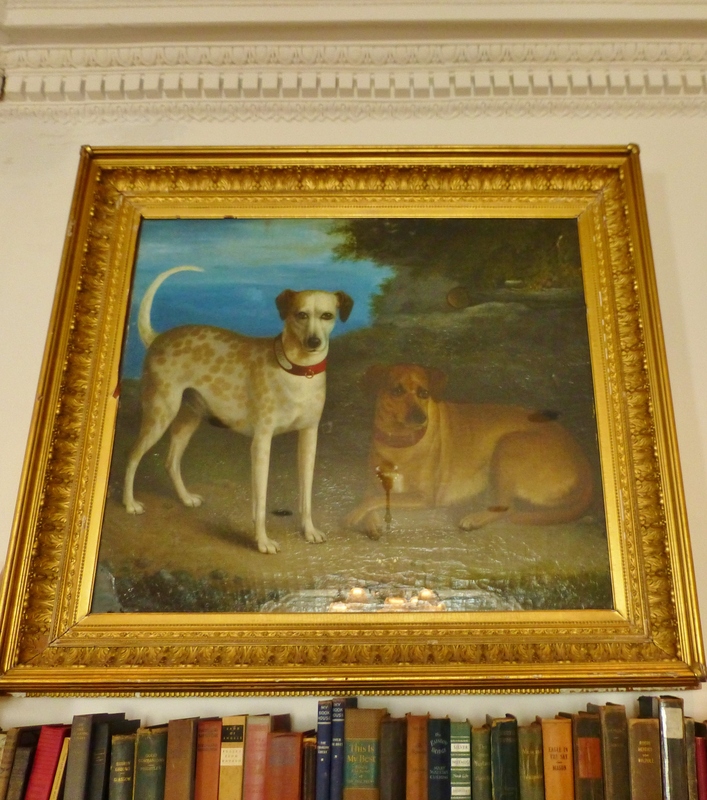 Inside the museum are amazing historic portraits of many Ryerss family pets, including this 1884 oil on canvas painting by J.N. Ness entitled “Ponto and Brown Dog”. Here’s a portrait of “Nelly” the Ryerss family Doberman. 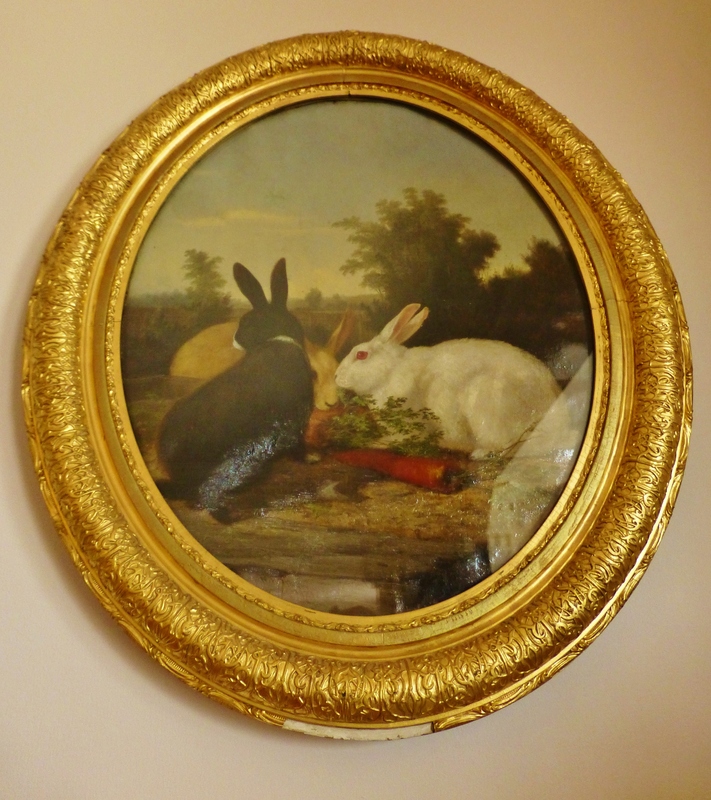 Dogs were by no means the only treasured companion in this family, as a detailed painting of several bunnies with their supper shows. A lounging feline duo is also quite lovely in this painting. Isn’t it extraordinary that the cats both have colorful satin ribbons adorning their necks? 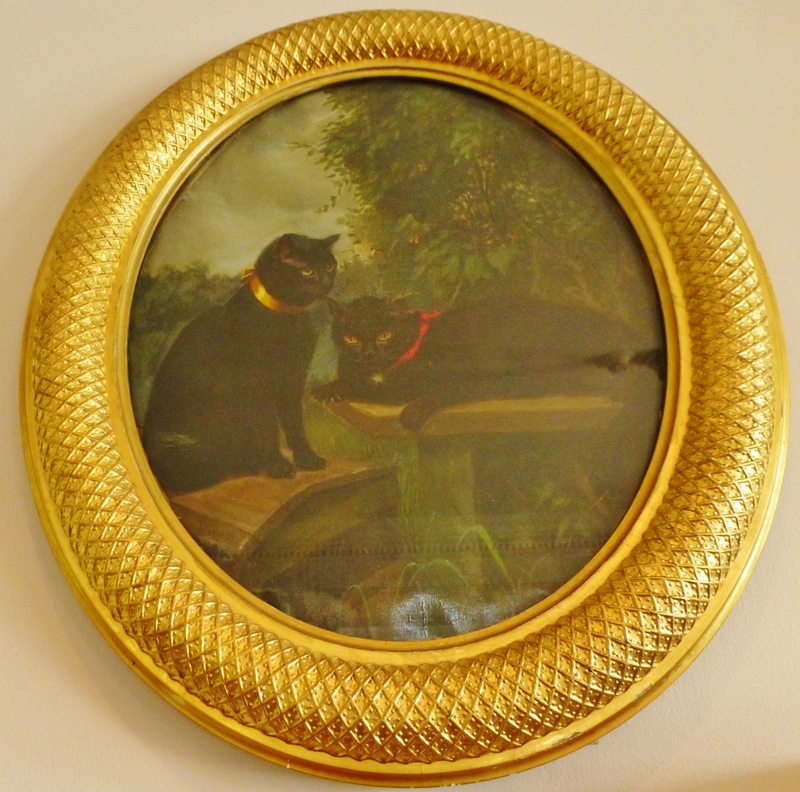 And that all the pet paintings are framed so beautifully? You can really tell this family had strong feelings for their animal family members! There were also horses on the Burholme property. The horse in this portrait is “Old Grey”. The Ryerss family were early animal rights activists. Anne Ryerss cared for elderly and sick work horses at Burholme and upon her death in 1888, left a sizeable sum to care for aged and infirmed horses. She also provided funds to create and maintain a hospital for large animals. 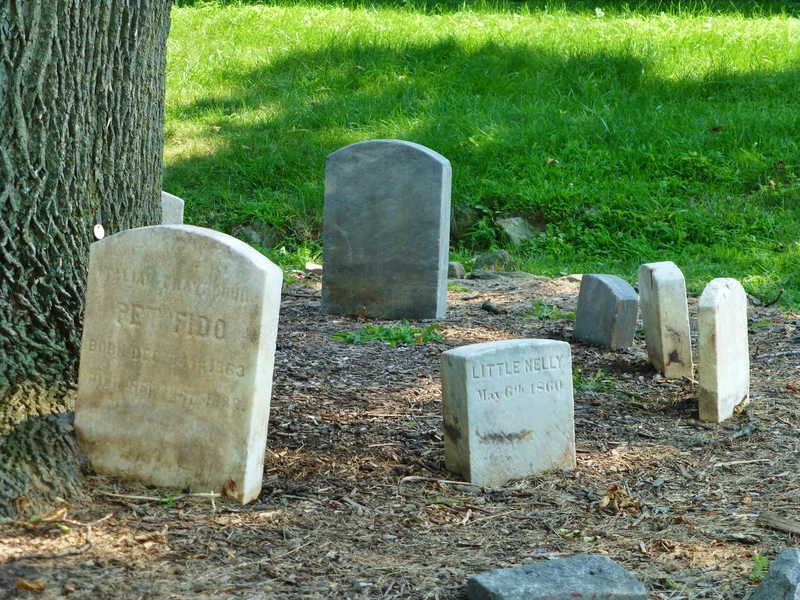 Today the ‘Ryerss Farm for Aged Equines’ still exists in Pottstown, PA.
With engraved names like Fido, Little Nelly, Fanny, and Ponto, these Victorian tombstones pay tribute to cherished family pets. 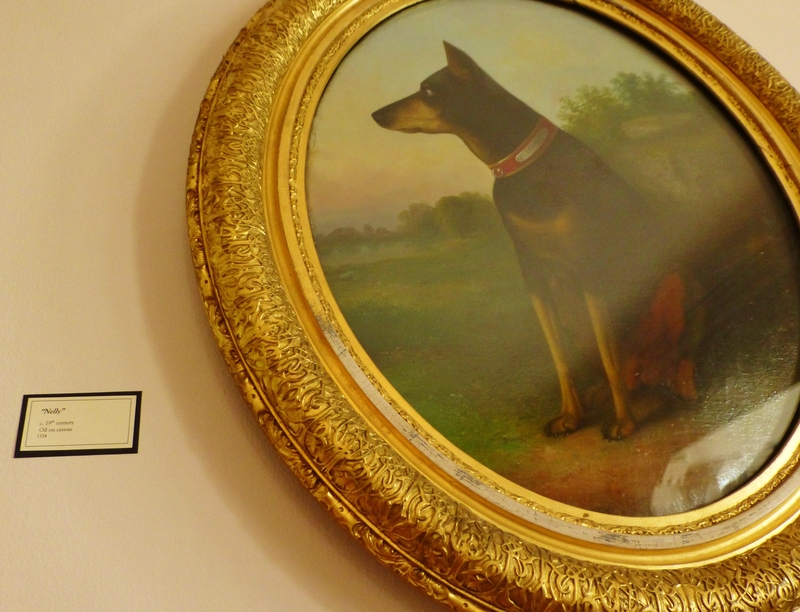 So, what do you think of this Victorian Mansion with its own Pet Cemetery? It’s really a fabulous place. In my next post I’ll take you inside, to show you the extensive collections they have on hand. You won’t want to miss this amazing menagerie of collected objects from all over the world!! And please, don’t forget to tell everyone you know about Kristine Robinson’s Interiors…I need all the friends I can get! 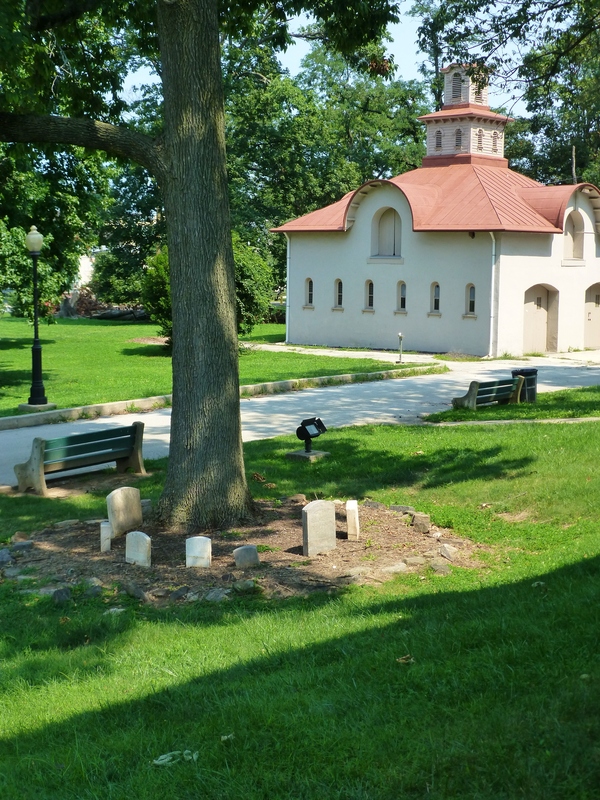 This entry was posted in Architecture, Historic Sites, Pet Cemetery, Pet Portraits, Robinson Interiors and tagged Animal Rights, Burholme, Cemetery, Cupola, Historic Home, Horse, Mansion, Philadelphia, Ryerss, Tombstone, Victorian, Victorian Animal Portraits. Bookmark the permalink.